Goodreads: Lorrie Hollander used to be a rich girl who spent her money on boarding school and equestrian camp. But that was before. It’s been twelve years since Lorrie’s mother skipped town and left Lorrie and her sister in the care of her unstable aunt Gigi. Together they live in a decaying mansion called Edgewater, the eyesore in a town of extraordinary wealth and privilege. While Lorrie is desperately trying to keep her family from collapse, she meets Charlie, the son of an esteemed senator. Terrified that he will learn the truth about her, she holds him at a distance. But Charlie’s family is hiding something, too. And Lorrie could never have imagined how their secrets, and their lives, are inextricably bound. 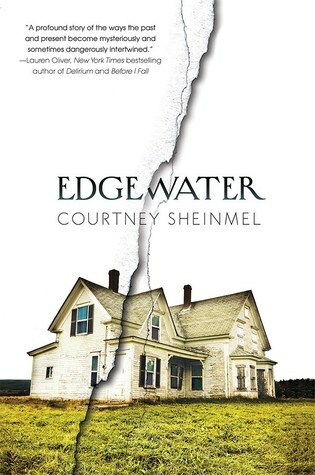 Courtney Sheinmel’s Edgewater is a gripping story of scandal and romance, shame and redemption, and how one girl must come to terms with a shocking past in order to understand who she truly is. Ope’s Opinion: From the beginning I was invested in Lorrie’s life. Susannah and Aunt Gigi drove me nuts!! I wanted them to “wake up” and see the mess around them. I felt sorry for Lorrie dealing with both of them. There were a lot of interesting twists in the story. I did not see most of them coming. I really liked that Lorrie’s romance was only a part of the book. She had her horse, her friends and had to deal with her family. It made her a well rounded person – not one dimensional. I am excited to see what Courtney writes next – and I hope it will be soon!! This entry was posted in Book Opinion and tagged Contemporary Young Adult, Courtney Sheinmel, Edgewater by opesopinions. Bookmark the permalink.